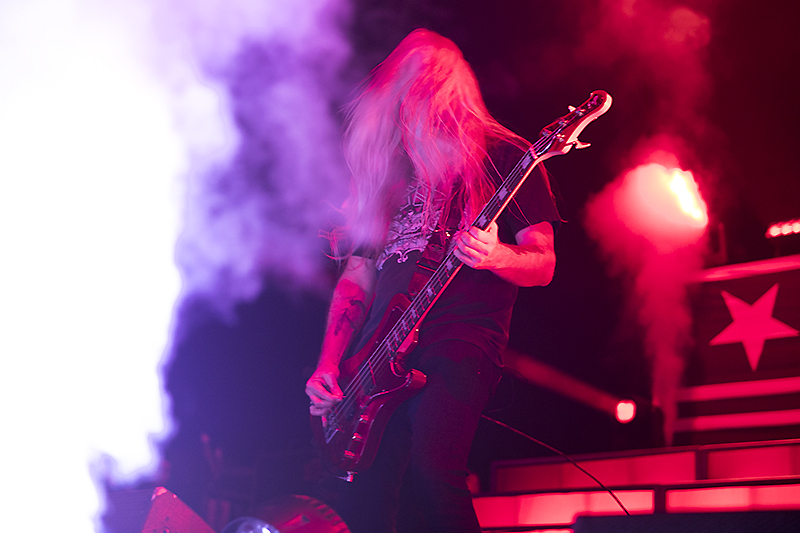 As has been the case ever since he stepped in for founding member Jeff Hanneman, Gary Holt was a force on stage, dishing out wild guitar solos and frenetic riffs to match fellow guitarist Kerry King. 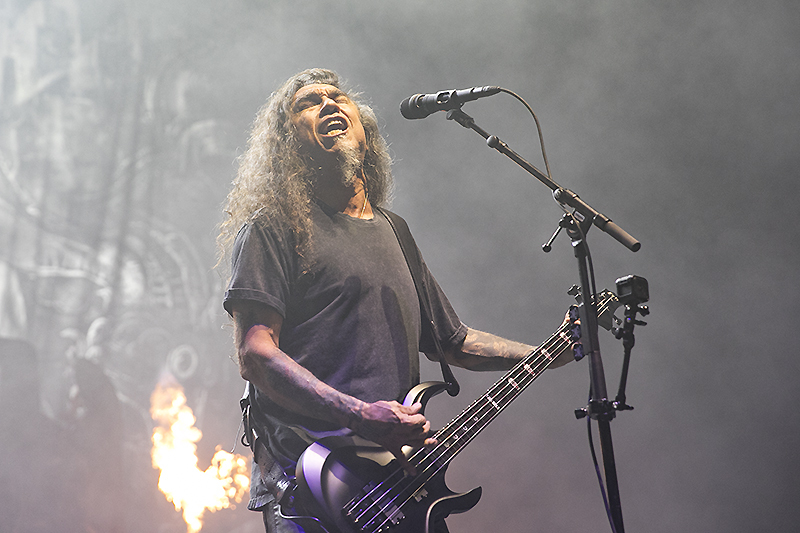 One of the most surprising moments came when Slayer pulled out a seldom-played song from their mid 2000’s comeback album Christ Illusion, the stunning “Jihad.” The song began with a bit of clean-toned guitar before the tempo and intensity got cranked up, with drummer Paul Bostaph delivering an incredible rhythmic foundation and the rest of the band pummeled the audience. 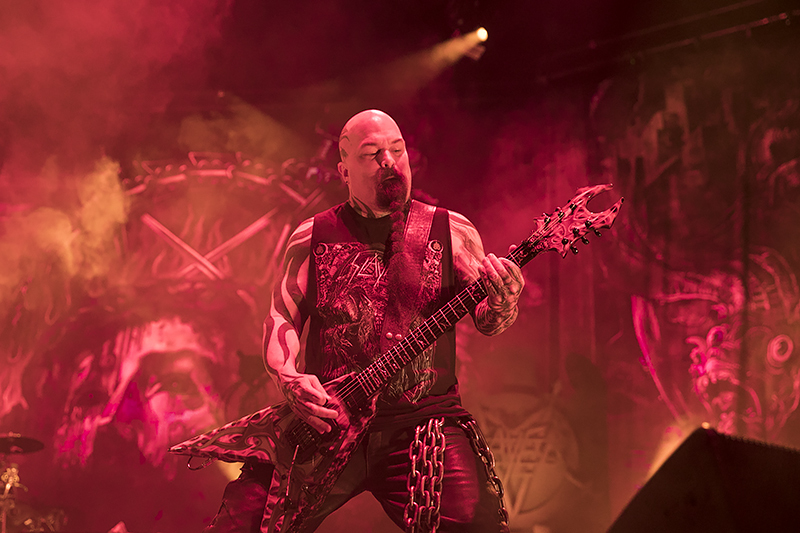 While Slayer shows are always known for their wild mosh pits and crazy fans, on this night it seemed as if the whole crowd was upping their game. 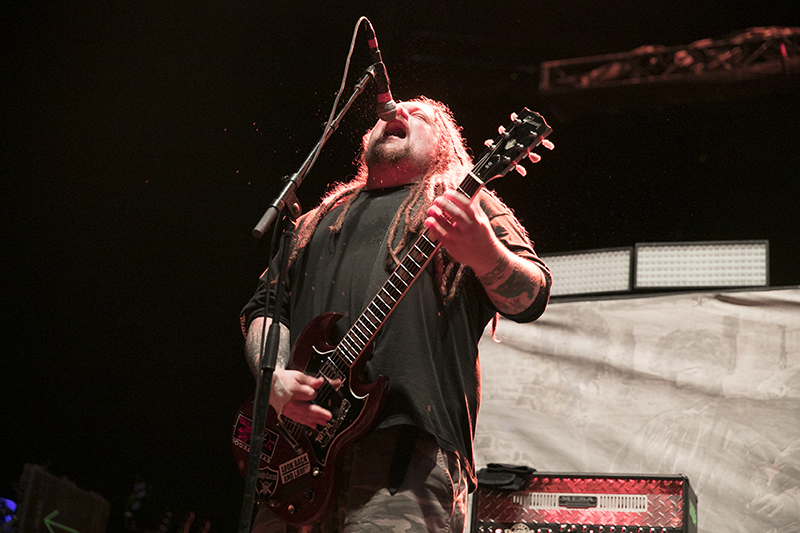 The mosh pit continued to churn as the set wore on and the more well-known Slayer songs started to get played. One of the biggest moments came in the form of the all-time classic “Raining Blood.” As the song’s intro blared over the PA, the crowd started to lose their collective minds, exploding in a mass of flying bodies. Slayer closed out the evening with a blistering version of “Angel of Death” and then said their collective farewells. Araya seemed to sense the importance of the moment, thanking the fans for all the years of support before walking off stage. 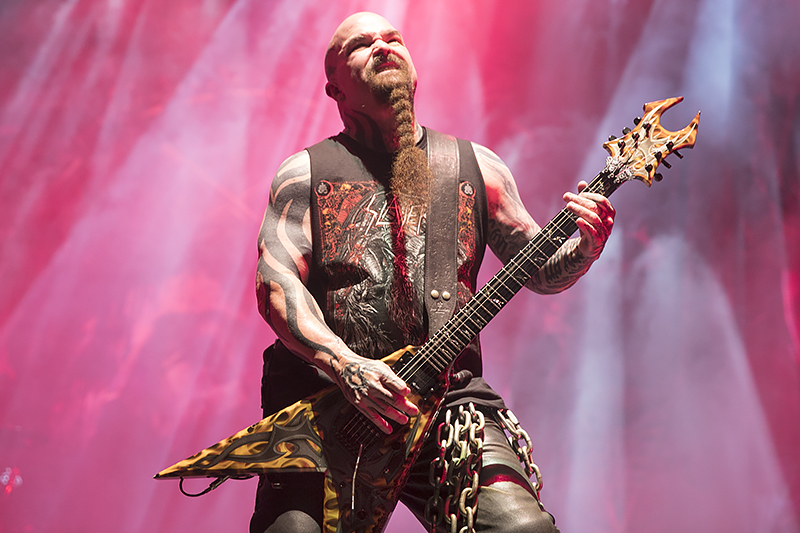 While Slayer may be hanging it up, they will leave an enduring legacy in the music world. The band showed once again that they are going out on top, with all of their impressive musical skills still intact. 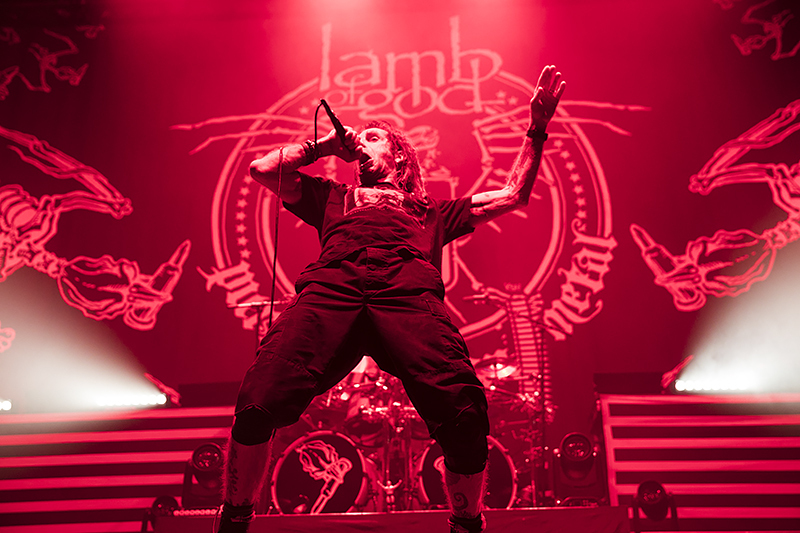 Frontman Randy Blythe was in fine form as he worked the stage, daring the audience to match the band’s intensity throughout their set. The band played a short set that included plenty of other memorable songs such as the wild singalong “Now You’ve Got Something to Die For.” Like all great Lamb of God songs, the track is driven by the bone-crushing guitar of Willie Adler and Mark Morton, with John Campbell’s deep basslines anchoring the song. 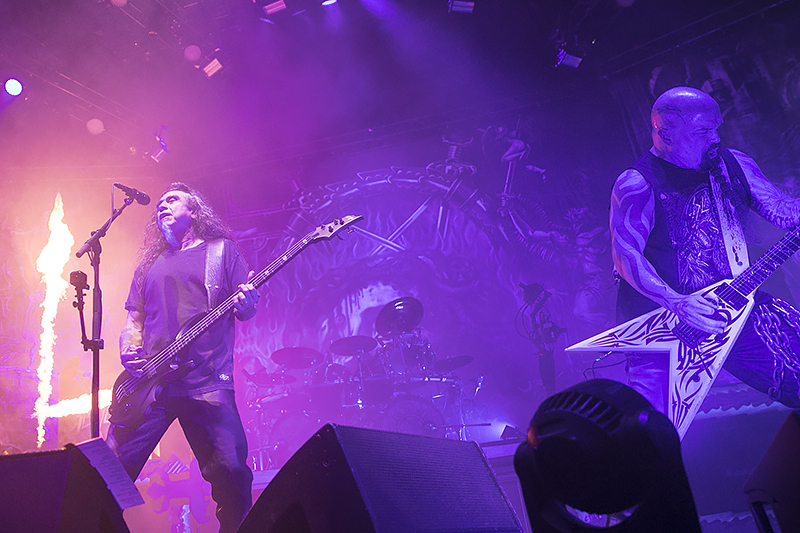 Despite being slotted third in the order, Anthrax delivered a headliner-worthy performance, tearing through a short but sweet set of their classic material. The band wasted no time as they started off their performance with their most well-known song, the anthemic thrash of “Caught in a Mosh.” In a tribute to the recently-departed Vinnie Paul of Pantera, Anthrax did an impromptu version of the Pantera song “Cowboys from Hell” to open and close the set. It was a touching tribute to a legendary figure in the metal community and it really got the crowed pumped up and energized. Anthrax ended their set with the swaggering mid-tempo grind of “Indians,” a pulverizing blast of catchy melodic hooks and a crazed outro that really got the crowd going. 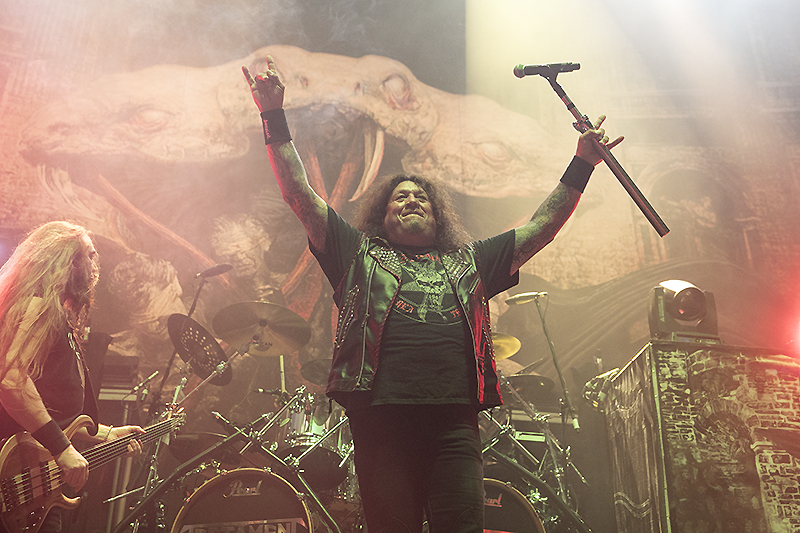 Testament made a statement early on in the night, with the five-piece rolling through a powerful eight-song set that contained plenty of classic songs. 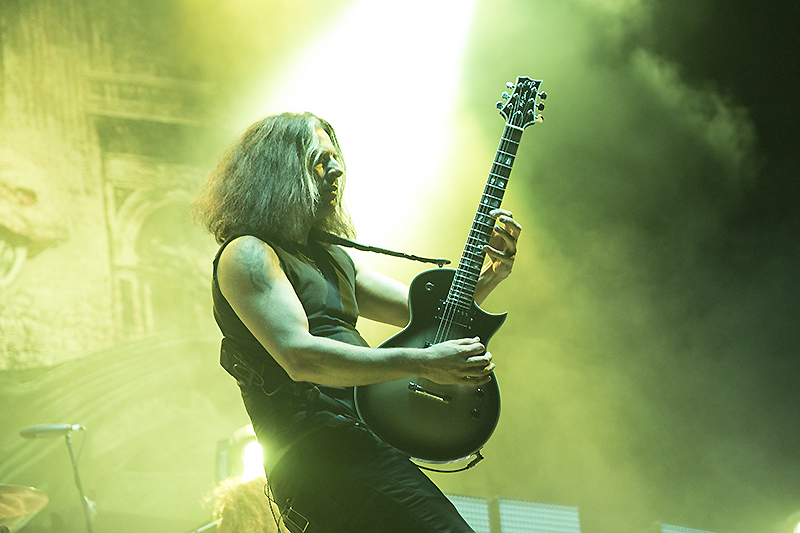 As usual, lead guitarist Alex Skolnick was on fire, smoking through plenty of mind-blowing guitar solos and making even the most advanced runs look easy. This was particularly evident during the mid-set scorcher “The Preacher,” which featured all kinds of awesome guitar harmonies between Skolnick and Eric Peterson, with bassist Steve DiGiorgio dishing out plenty of impressive runs of his own. The band finished their set with the scorching “Over the Wall,” a relentless thrasher that was delivered at full force and intensity. For those fans that showed up early to the 6-hour metal extravaganza, they were treated to a brief but brutal performance from U.K. grindcore legends Napalm Death. 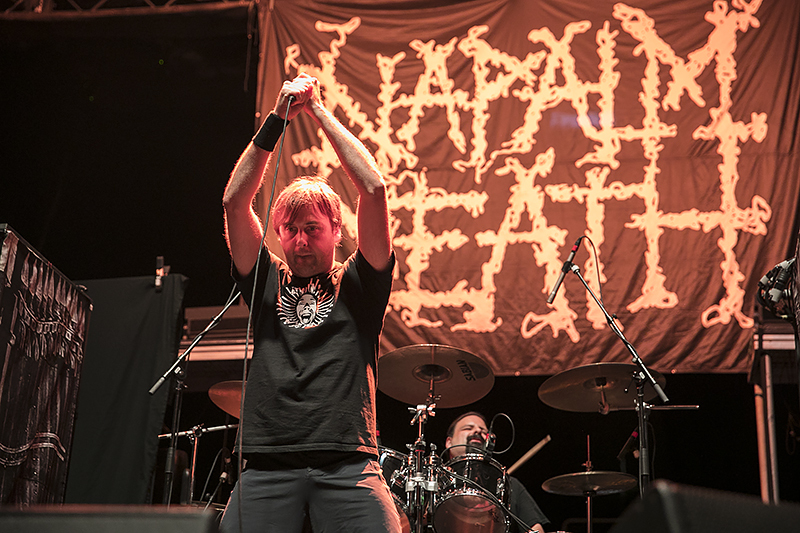 For a band like Napalm Death, the objective is to pummel the audience into submission with a non-stop whirlwind of razor-blade guitars, guttural vocals, and impossibly fast drum beats. 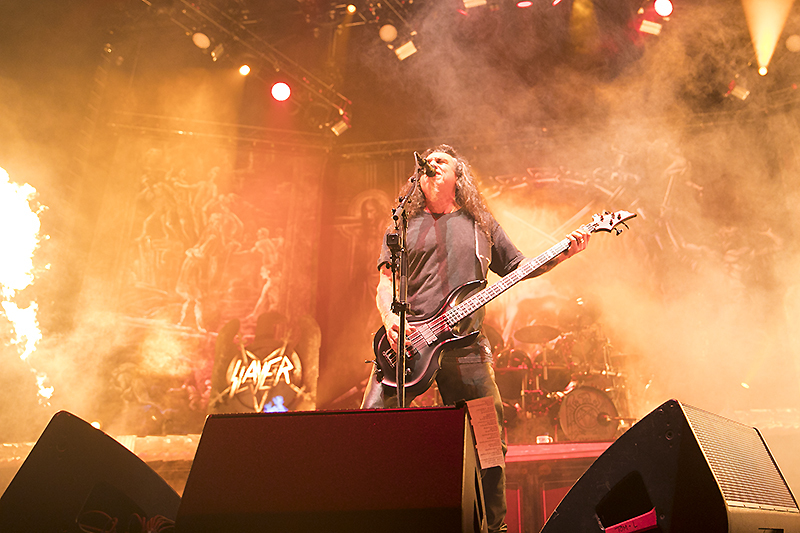 Find out more about Slayer here. Check out Lamb of God on their website. 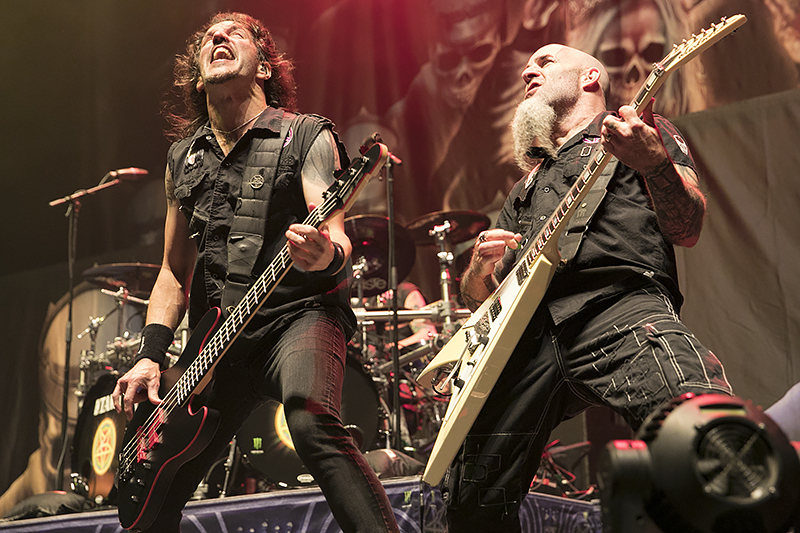 Find out more about Anthrax here. 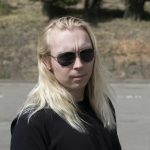 Get more info on Testament here. Everything you need to know about Napalm Death can be found on their website.